Talking therapy in Stockport, Manchester can be immensely powerful, supportive and empowering. But you will also benefit from some selected reading. The ‘mind, body and spirit’ marketplace has thousands of titles to choose from. 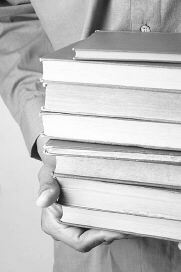 Their quality varies, but UK charity The Reading Agency has several lists of useful titles. Reading Well Books on Prescription helps people manage their own health and well-being through recommended self-help books. Because everything changes when we read. The books have been recommended by experts. They have been tried and tested and found to be useful by others. The Reading Agency’s Reading Well Mood-boosting Books scheme is a national promotion of uplifting novels, non-fiction and poetry selected by readers.